The real estate services firm announced that it represented Red Pine Capital Partners and Double Z Management in the transactions at 75 Commerce Drive in Allendale, where two tenants recently leased more than 70,000 square feet. Avison Young is also providing project management services for one of the tenants, Hitachi Chemical Advanced Therapeutics Solutions, as it builds out its new headquarters at the property. 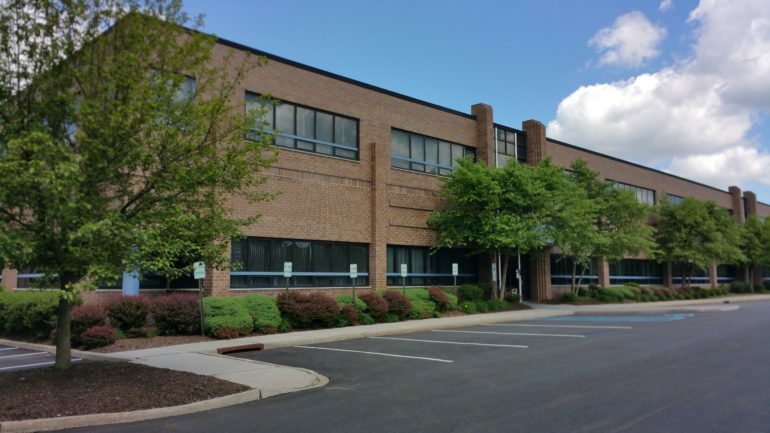 The activity comes after the departure of the building’s largest tenant earlier this year, Avison Young said in a news release. Marc Krieger, a senior vice president in the firm’s brokerage services group, represented ownership in backfilling the space in less than four months, inking long-term leases with Hitachi and Telemetrics Inc. The leasing effort called for converting what had been a single-tenant space, which resulted in Red Pine and Double Z building a new separate entrance, splitting the electrical and mechanical systems and making other improvements, the news release said. The transactions brought the Allendale Corporate Center property to 100 percent occupancy. 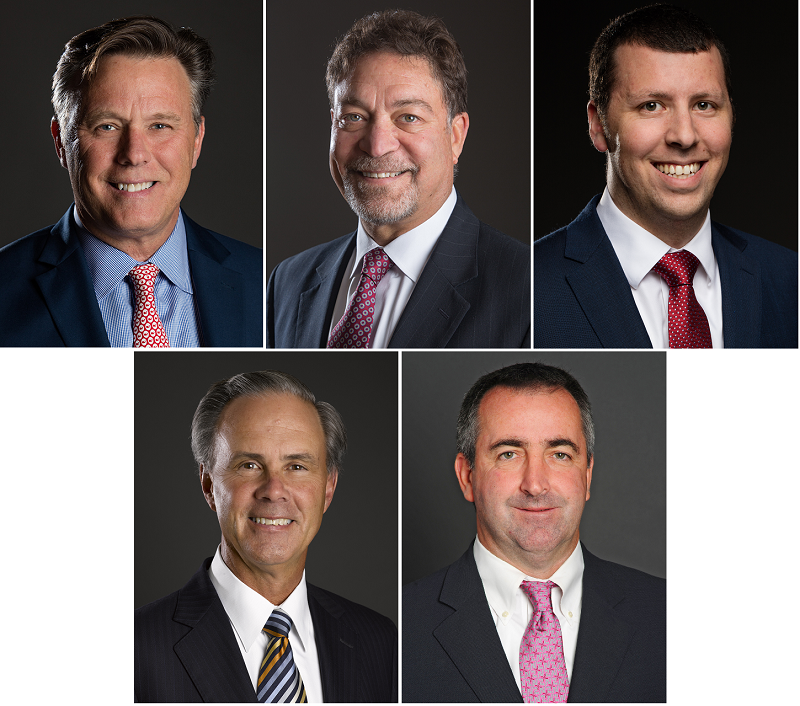 Clockwise, from top left: The Avison Young team at 75 Commerce Drive in Allendale included George Gnad, principal; Marc Krieger, senior vice president; Jason Bloom, research manager; John Mercurio, principal; and Tom Walsh, principal. An Avison Young team led by George Gnad, principal in the firm’s debt and equity group in Morristown, subsequently negotiated the $21.1 million loan on behalf of ownership — touting the credit worthiness of the tenants, the strength of the sponsor, the length of the leases and the scope of the capital improvements. Potomac Business Services, which is a syndicate of credit unions, originated the financing. Krieger also tapped Avison Young’s project management and construction management service lines during the pre-leasing and post-leasing phases, the news release said. AY Principals Tom Walsh and John Mercurio oversaw the improvements on behalf of the Red Pine Capital Partners venture and are now assisting Hitachi with its new space. The life sciences company is now setting up its North American executive headquarters on the second floor of the property and will use the first level for cutting-edge cellular therapeutic research and development. Tags 75 Commerce Drive allendale Double Z Management Hitachi Chemical Advanced Therapeutics Solutions Red Pine Capital Partners Telemetrics Inc.